Perhaps the most important factor to be considered while choosing awnings for homes is their longevity. When you install a fixed awning, it remains exposed to all weather conditions 24 hours a day, 7 days a week. As it is constantly exposed to snow, wind, rain, sun, pollutants, dust and ice, the chances of its fabric being significantly damaged is highly likely. This reduces the life of your awnings sooner than expected. 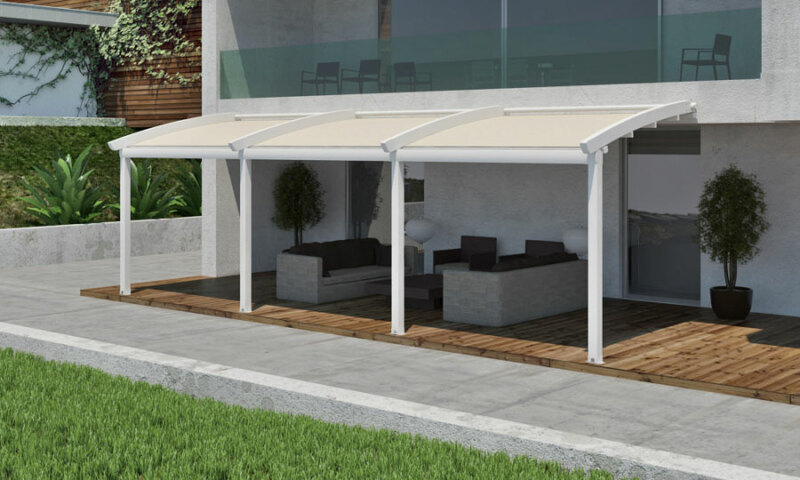 With retractable awnings, however, it is possible for you to retract it whenever you want, thus keeping it secure and long lasting. Fixed awnings usually serve as a permanent roof and thus, it only functions to give you shade. What does that mean? They work perfectly during summer, or other harsh climatic conditions. But what if it’s cold and you’d like to enjoy some warmth during the beautiful spring days? You cannot simply roll back the awning to enjoy the goodness of the sun at this time. This is when retractable awnings come to the rescue. Retractable awnings are versatile, such that they can offer shade during the hot, sunny days and can be retracted anytime you want to get the view, day or night, or during the wintery days. Awnings that are fixed or permanent are vulnerable to damage during storm, thanks to its constant outdoor exposure. When you don’t have a retractable system, it is always at risk to get damaged. What’s even worse is that the awning might simply blow around and can cause damage to your home too. With retractable awnings, you could simply withdraw it during a stormy weather and it remains safe and secure throughout the period. Take the right measurement of the area where you want to install the awning. Both the length and width has to be taken carefully. Check the walls properly, if you are thinking of installing it on the wall. Check the functionality of the awning and make sure it is simple to activate and use. Read the reviews and check out all the features before deciding to purchase. Knowing about a customer’s experience will count a lot. Now that you realise how retractable awning is a much better purchase than regular awnings, find a reliable retractable awnings provider in Melbourne to shop for one!